Try One Week of Classes For Free! Leduc Brazilian Jiu-Jitsu offers classes for everyone 4 years old and up. From first time beginners to seasoned competitors, we've got a program for YOU! Leduc Brazilian Jiu Jitsu prides itself on offering friendly & professional martial arts training for the whole family! Professor Rob Thompson, (Owner, Head Instructor & 1st Degree BJJ Black belt) is committed to helping improve individuals and communities through sharing his passion for Jiu Jitsu. Our Academy is built on 7 core values that we hope to instill in all members; Respect, Discipline, Self Control, Honesty, Inclusiveness, Cooperation & Humility. We are part of a strong network and family of Brazilian Jiu Jitsu schools in the region. 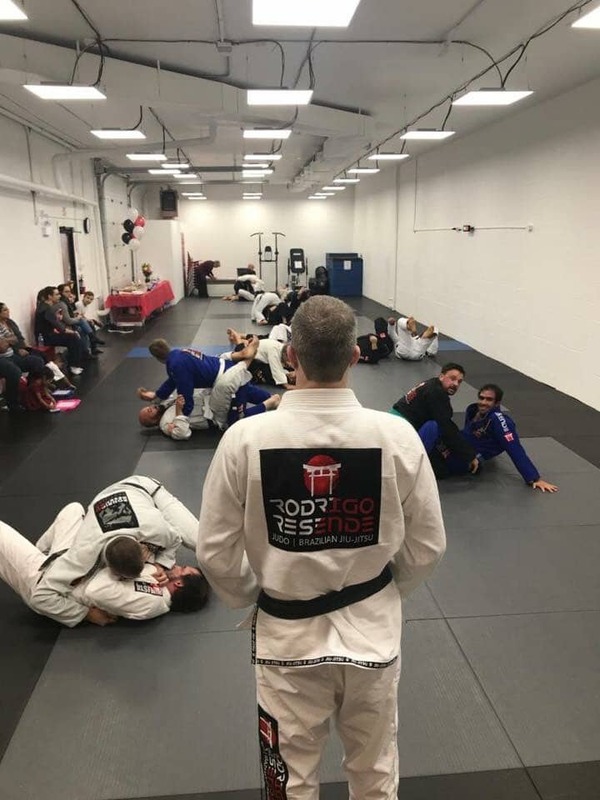 As a member of the Rodrigo Resende Academy Team, Leduc Brazilian Jiu Jitsu can offer its members unique interclub training opportunities and access to the highest caliber of seminars with world class competitors. Leduc Brazilian Jiu Jitsu is excited to share and spread authentic Brazilian Jiu Jitsu and honoured to be teaching with Rodrigo Resende’s blessing. Come see why our BJJ Family just keeps growing and why so many people are including Brazilian Jiu Jitsu as a part of their Healthy and Active lifestyle. Leduc Brazilian Jiu Jitsu is passionate and committed to improving individuals and the community by sharing Brazilian Jiu Jitsu with Leduc’s residents!